The verdict: There’s really no missing this one, as it’s clearly meant to approximate the flavor profile of spiced Turkish coffee, although “Zellige” is Moroccan in origin. The spice list is vast, with cinnamon, ginger, nutmeg, cardamom, black pepper, and sea salt, although the ones that pop to us are the cinnamon and especially the warming presence of cardamom. Overall, the effect is a bit bracing—it’s like an excellent pumpkin/chai spice latte, but one might reasonably question whether that makes it too rich/sweet/spicy to drink in quantity as a beer. Still, the spice profile has a certain exotic allure. This is definitely the kind of can you could split between a few people, and they’d all likely enjoy the uniqueness of the experience. 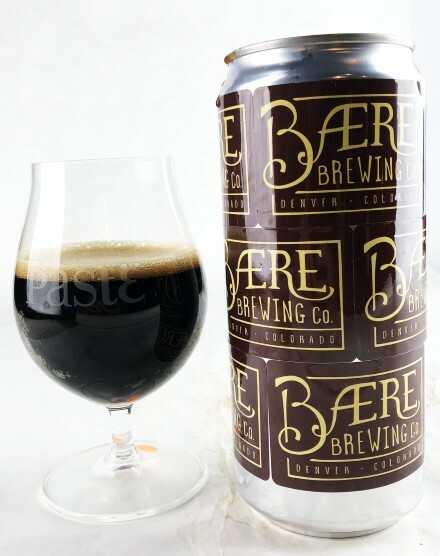 The verdict: This simply titled beer from Denver’s Baere Brewing Co. is a dry, subtle example of “American stout” that expresses its hop character a little bit without diving as deeply into the realm of American hops as a few of the other American-style stouts we tasted. Very well balanced, it features moderate roast and a nutty brand of cocoa, ‘ala cacao nibs, that are supported by touches of piney hops. Overall dry, balanced and drinkable, it feels like a tribute to beer styles gone by … not that there’s anything wrong with that. For a stout tasting, this is definitely a quaffer. The verdict: We ended up sampling so many different coffee beers in this tasting that the differences between one style of coffee addition and another became more pronounced than ever—if you’re of the opinion that all styles/methods of coffee inclusion in beer are more or less the same, then you’re gravely mistaken. In this Wisconsin offering, the espresso comes through as something akin to strong, slightly syrupy cold brew. Big, clean roast is present on the nose, with some of the natural sweetness and oily texture of espresso. Or as one particularly descriptive taster wrote, “a little cola, a little dash of peanut.” It’s not the most complex of all the coffee beers we tasted, but it’s definitely one of the more straight-to-the-point. 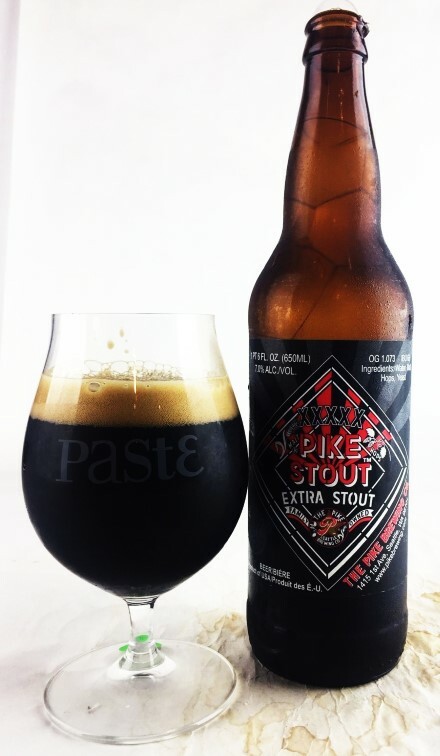 The verdict: This well-regarded coffee stout from Maryland has performed well in previous stout tastings at Paste, so we’re not particularly surprised to see it make the rankings again. It actually has some similarities with the preceding beer from Point—both have the profile of darker coffee roasts, and both are overall more dry than they are sweet. 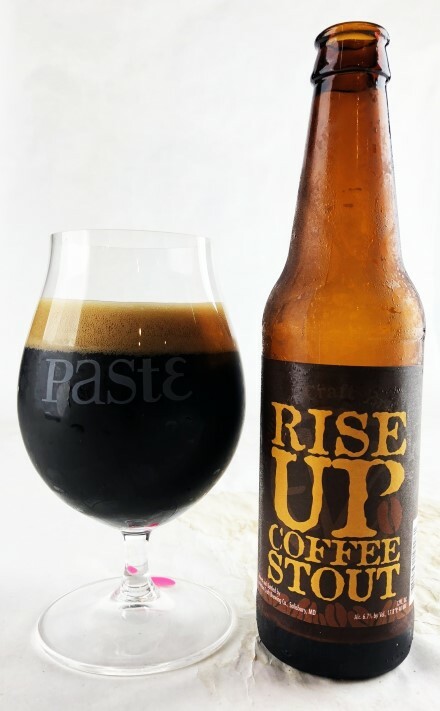 Rise Up also contributes a modicum of bitterness that isn’t present in a lot of the modern, more dessert-forward coffee beers—it’s more “black coffee” than many of the others we tasted, which are all “cream ‘n sugar.” There’s some bittersweet dark chocolate here as well, but we’d mainly recommend it to drinkers who want coffee flavor but want it without the sugar. 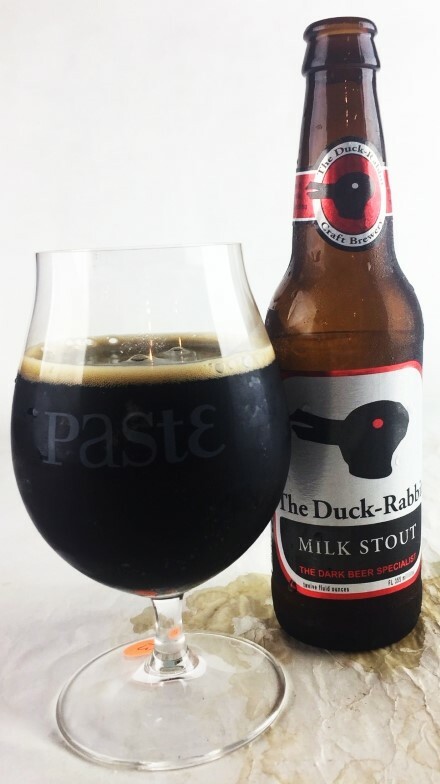 The verdict: Along with Left Hand, Duck-Rabbit is one of a few breweries that has flown the flag of milk stout for a long, long time, making a fairly obscure style into a popular flagship. And it’s a beer that still holds up well—moderate sweetness and a creamy body give a solid footing to flavors of mildly nutty malt and milder roast, with hints of hazelnut, caramel and dark fruit flavors. It’s not quite as creamy as some of the best milk stouts, but it’s also not quite as thin of body/undercarbonated as some of the less pleasant ones tend to be. Duck-Rabbit is dependably in the middle, still offering an excellent example of what the cream stout/milk stout/sweet stout is all about. The verdict: I must admit, this one is a bit of a surprise. I certainly don’t think “coffee milk stout” when I think of ‘Gansett, but credit where credit is due—these guys don’t only make lager, and they’ve made a really pleasant stout here. It’s not nearly as assertive in terms of its coffee character as many of the others in this tasting, instead balancing light coffee flavors with touches of milk chocolate and light caramel. 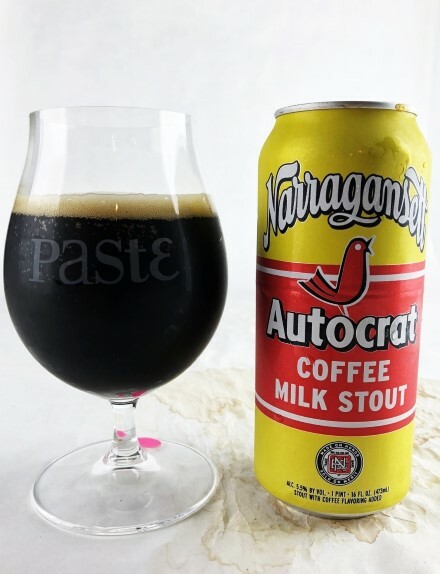 Very easy drinking in general, Autocrat is simply a very approachable variant upon a stout substyle that is often trying to maximize its flavor threshold and intensity. It’s a good reminder that this isn’t always necessary; that sometimes you just need a quaffable, balanced coffee beer that isn’t trying to hit you over the head. The verdict: It’s probably no surprise that in an “under 8%” stout tasting where every other beer is a coffee stout, Irish-style dry stouts don’t tend to fare all that well. Let’s face it—a beer like Guinness just tends to come off as creamy, bone dry black water in these circumstances. 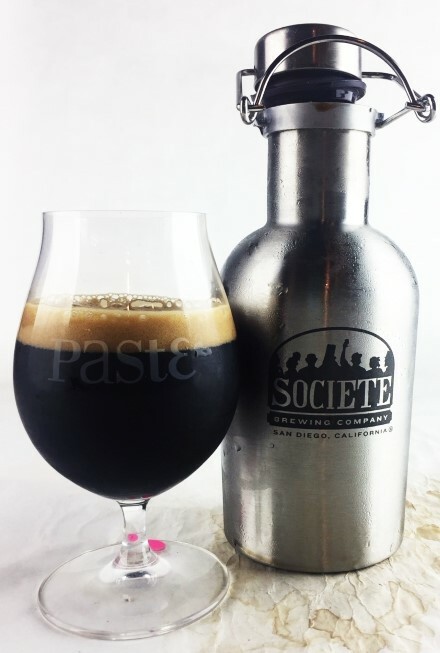 But it’s still possible to make a really nice craft version of dry stout, and the guys at Societe managed to figure it out in The Pugilist. This one really packs an impressive degree of flavor and complexity into only 4.8% ABV—it’s creamy, roasty, dry, easygoing but with unexpected little flourishes to keep it interesting. 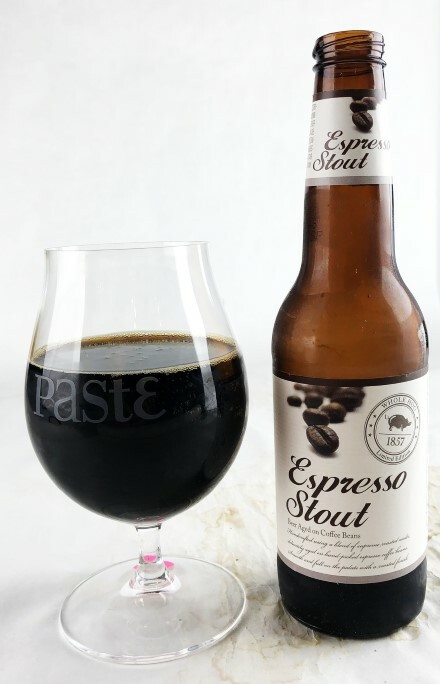 A touch of lightly sweet, oily espresso is present, which works well on a beer that offers a body and texture significantly heartier than the ABV would lead you to believe. This is superb session beer, right here. The verdict: It’s funny how much variation there is between beers simply labeled as “milk stout.” Some of them are very creamy, rich and unctuous, while others you wouldn’t necessarily peg as having any unfermentable lactose/milk sugars in them. This is closer to one of the latter, a more subtle take on the style that emphasizes drinkability over decadence. Mildly roasty and clean on the nose, it’s drier than many of the other milk stouts, with nutty cocoa flavors and light coffee roast that is present but tactful. Low bitterness and a smooth mouthfeel make for a quaffer of a stout, which is, as one taster wrote, “just pleasant all around.” This is uncomplicated, easy to enjoy stout. The verdict: I think this tasting was the first time we’ve seen entries from Seattle’s venerable Pike Brewing Co. (since 1989! ), but these guys clearly know what they’re doing when it comes to old-school stouts—their second entry, the organic double oatmeal stout, just barely missed the ranked portion of the list. With that said, we were most fond of the Extra Stout, a burly take on foreign export stout with no shortage of character and complexity. It gives you a little bit of everything—solid roast with a backbone of bitterness not found in many of the stouts from younger breweries, plus hints of piney/floral hops that are a pleasant balancing element. You can also tell that this is a bit higher-ABV example, as the beer manifests some pleasant hints of dark fruit on the second and third pass. Everything about this beer feels “solid,” like it was built to stand the test of time. I’d be pretty happy to have something like this available as a year-rounder in my market. The verdict: This is another one of those coffee stouts that (at least in comparison with some of the others in the tasting) takes the more subtle approach to “coffee” rather than making it into a bombastic expression of the coffee bean. Dry and roast-forward, it brings some mild bitterness to the party, but that bitterness seems hop-derived in addition to slight coffee astringency. 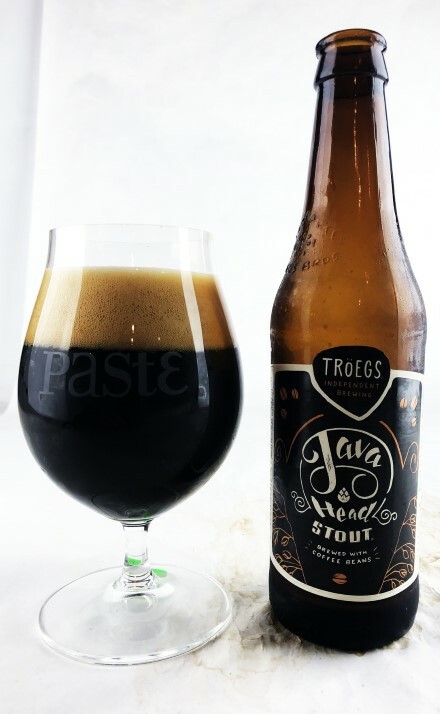 There weren’t many coffee beers in the tasting that made hops into an important flavor note, but Troegs found a way to make this work, with an earthy hop profile that complemented the coffee character nicely. From one score sheet: “Robust, nicely balanced roast and hints of hoppiness.” The 7.5% ABV is pretty well hidden as well—this is a stout that could end up being a bit dangerous, if you’re not being careful. The verdict: This may not be a popular opinion, but we’ve always preferred the original, carbonated version of Left Hand’s classic milk stout to the nitrogenated version that helped spur craft beer’s “nitro” craze in the last few years. In reality, nitrogenated beers didn’t fare too well in this tasting in general, as the textural draw they add is all too often outweighed by a simultaneous suppression of flavor assertiveness. Regardless, we think of this one as the truer expression of this milk stout’s flavor profile—creamy and roasty, with hints of milk chocolate and just a little bit of dark fruitiness, coupled with moderate residual sweetness. It remains a classic of the genre, and one of the only milk stouts in the country to be a regional brewery’s flagship beer. They sell a lot of this stuff for a reason. 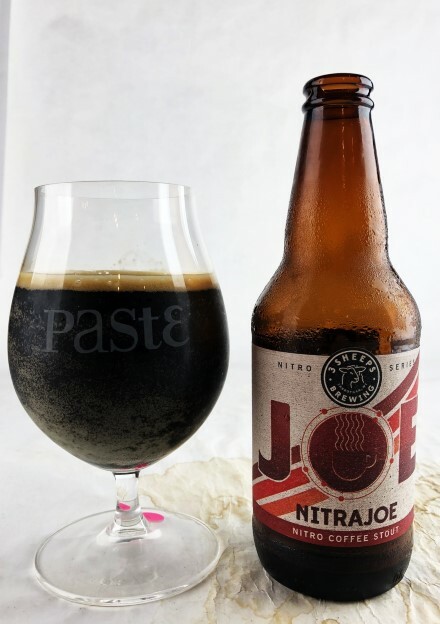 The verdict: This is an interesting take on nitrogenated coffee stout from Wisconsin—it’s in a bottle rather than a can, with no widget, and the nitro character is a bit different as a result. It doesn’t have the same pervasive creaminess that most of the other nitro beers possess, but tasters ultimately appreciated this—what it meant was a subtle creaminess and slickness rather than a focus on texture rather than flavor. A very pleasant, nutty coffee aroma is a key feature here, which segues into moderate residual sweetness and dark chocolate; what one taster’s notes refers to as “chocolate cakey.” In terms of coffee intensity, it’s in the middle of the pack—approachable, creamy and well balanced. Good stuff. 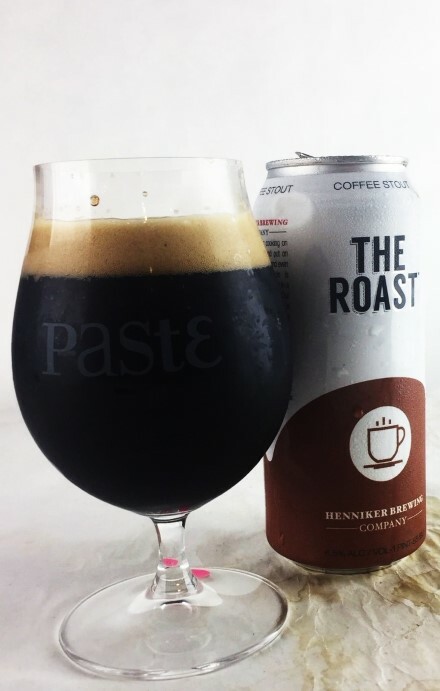 The verdict: Unlike several of the last few entries on this list, Henniker’s The Roast brings the coffee character and brings it hard, although it still makes for a fairly crowdpleasing pint thanks to a decent amount of residual sweetness. Dark roasted coffee is expressive on the nose—think French roast or Italian espresso character, but with a few sugar cubes to tame most of the potential bitterness. On the palate it’s much the same—sweet and boldly roasty at the same time, and just a hint of bitterness holding everything in check. The most dangerous thing in any of the “dark roast”-type coffee stouts is always the threat that the coffee’s astringency or acridness will make them difficult to drink in quantity, but this one manages to keep on the right side of that divide while still being quite coffee-forward. The verdict: This brand new October release from Bell’s only highlights what is a surprisingly robust array of stouts under 8% ABV that this company produces—did you know that Bell’s somehow has FOUR different sub-8% stouts on the market right now? Regardless, this may very well be the best of them, an impressive coffee stout that balances big coffee flavor with dark malt complexity. 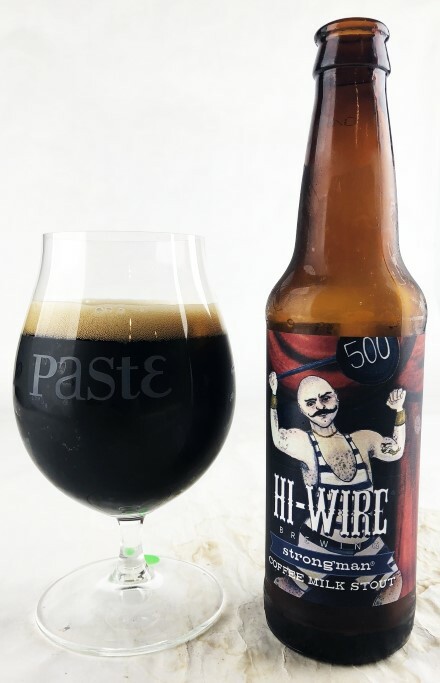 A great freshly brewed coffee nose with hints of earthy spice quickly transitions into a very cocoa-laden palate, almost “fudgy” and rich, without being overly sweet in terms of residual sugar. It’s a very nice balance between coffee and chocolate impressions. Mocha enthusiasts, this is one you’ll want to seek out while you can find it. 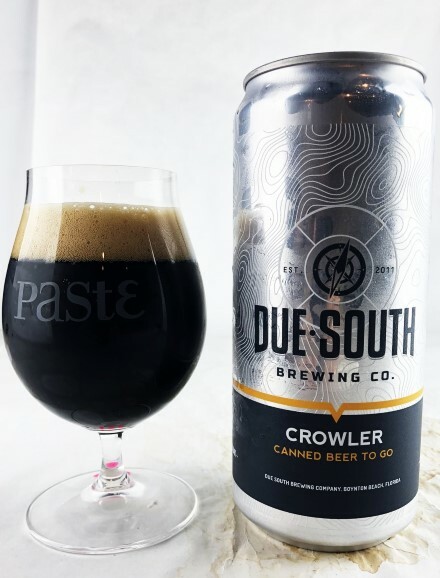 The verdict: And speaking of mocha, that’s the theme of this well-liked taproom beer from Florida’s Due South. This one features a coffee varietal that delivers more of a spicy, almost peppery aroma—a few tasters thought that there might be some very mild chiles involved because of the nose, but it was simply a false positive from the spice of the coffee. 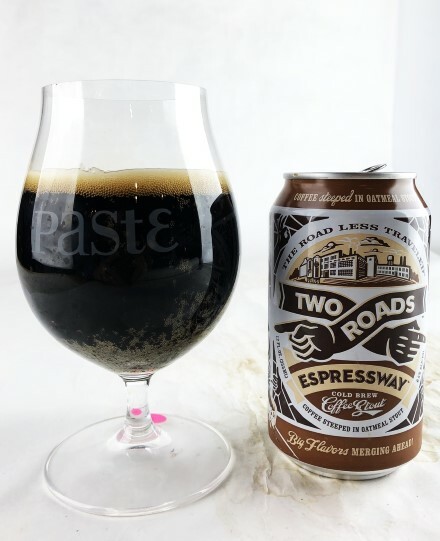 Couple that with a nutty, cocoa nib-like malt body that restrains itself with only mild residual sweetness, and you have an intriguingly complex take on coffee stout that delivers in a few different ways. It’s not quite “Turkish coffee”-esque by any means, like the 4 Hands Zellige at the beginning of the ranked portion of this list, but it conjures the image of something significantly more complex than the cold brew character many breweries are chasing right now. 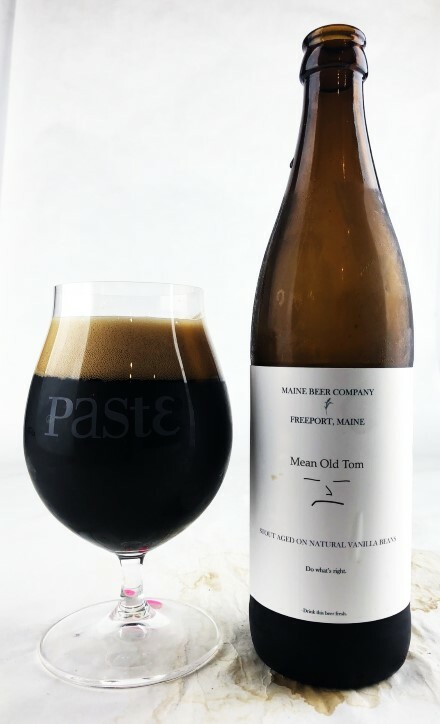 The verdict: Every time I’m reminded of the fact that this beer is aged on vanilla beans it amazes me, because Maine’s use of them is one of the most subtle, tactful uses of vanilla in a stout I’ve ever seen. Most of the time, if you see “vanilla” on a beer label you can expect the resulting product to taste at least to some degree like the bottle of vanilla extract in your pantry, but here it’s so subtle that you could easily miss it entirely. What you get instead is a beautifully complex American stout with solid, firm roastiness, hints of sweetness and vanilla and a secondary wave of piney or grassy hops for balance. It’s a bittersweet, wonderfully balanced stout that checks so many boxes at once; the kind of beer that you could return to over and over in the course of a night and find new little nuances. This is exactly the kind of beer I’d love to be able to pick up in a 12-pack of 12 oz cans someday, because it’s a perfect everyday drinker. 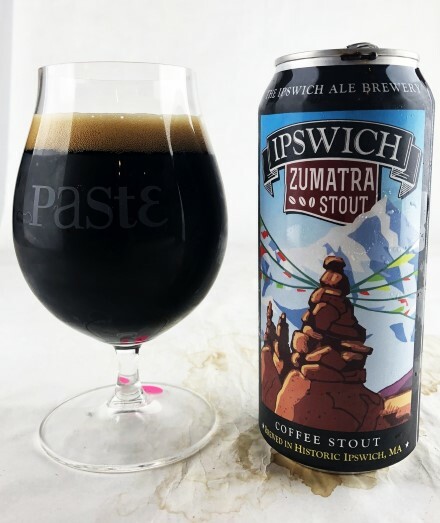 The verdict: Ipswich’s regular oatmeal stout is something of a classic of this genre, but the coffee variant makes the jump from good to great. Granted, that’s not because it assaults you with a big blast of coffee flavor, but instead integrates that part of its being into a really well-made stout that feels a bit bigger than it is. Deep roast and assertive dark chocolate notes merge into red/dark fruit flavors of cherry and raspberry, which work beautifully with the bittersweet coffee character and a touch of booze. It’s like a miniaturized imperial coffee stout, and that’s fine by us. 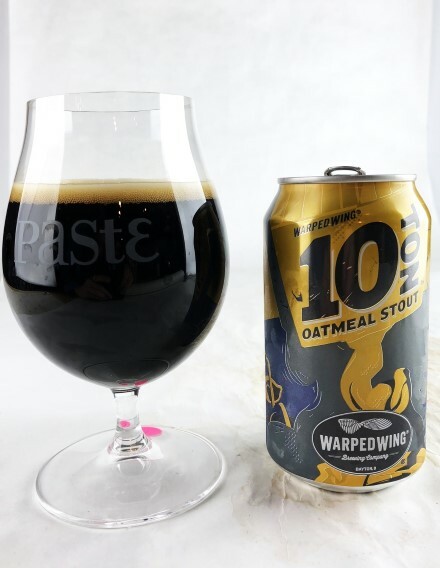 The verdict: There aren’t many plain ‘ole oatmeal stouts here in the top 10, so this placement by Dayton’s Warped Wing is all the more impressive considering the bevy of (mostly coffee) beers it was up against. Its mouthfeel goes a long way toward immediately setting it apart—thick, viscous and “chewy” in texture, without feeling at all odd or artificial. Baker’s cocoa is a highlight, with nice malt complexity and hints of caramel and roasted nuts. We even got a bit of floral hops—there’s just significantly more going on under the hood of this beer than you might realize on your first taste, thanks to its balance. That’s the mark of a good beer; your list of tasting notes continues to grow as you go back to it repeatedly. This one strikes us as very carefully conceived and executed. The verdict: Chocolate additions are a little bit dicey in some of these beers, because there’s a pretty fine line between the additional boost of cocoa flavors they can provide over strictly roasted malt and a total overflow into artificiality, which we hate—there’s nothing worse than an otherwise pleasant stout that tastes like someone squirted a bunch of Hershey’s syrup into it. 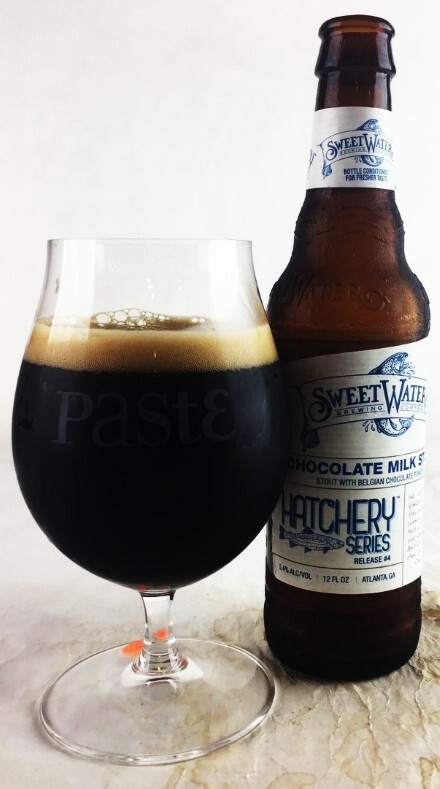 This brand new limited release from SweetWater manages to bullseye that happy medium of chocolate influence. Creamy, viscous and moderately sweet, it nails the milk/dark chocolate blend, along with hints of light coffee roast, while remaining quite drinkable. Particularly high praise from one score sheet: “Wonderful, just wonderful.” Hard to beat those kinds of notes. 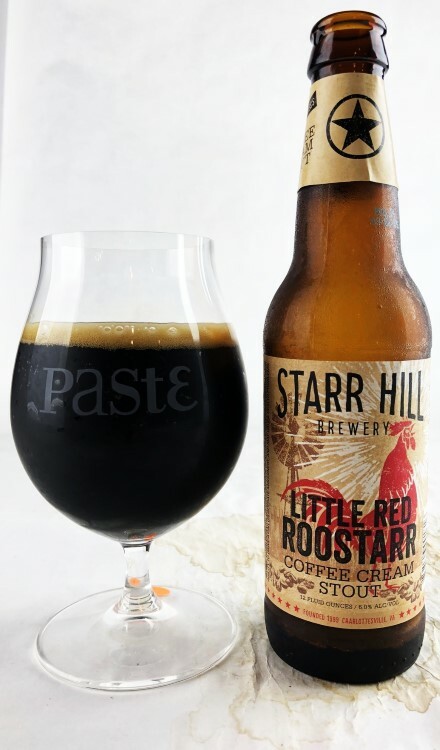 The verdict: Starr Hill is one of those solid, dependable regional breweries that doesn’t always get the respect it deserves because it belongs to an older generation that hasn’t universally managed to age well. These guys, though, have put in the work to keep their mainstay beers relevant, from redesigning their year-round pale ale to producing a varied lineup of one-offs and seasonal releases. This stout is redolent with powerful, cold brew-esque coffee character, sweet and slightly syrupy in texture, but nowhere near saccharine. Hints of berry fruitiness add some complexity, but this one strikes us as primarily a coffee showcase, and a damn good one at that. The verdict: For the bean worshippers in the house, you’re not going to do much better than this hugely coffee-forward stout from North Carolina. This is intensely roasty stuff, balanced by assertive sweetness, but it somehow manages to be both of those things without being either saccharine or acrid. 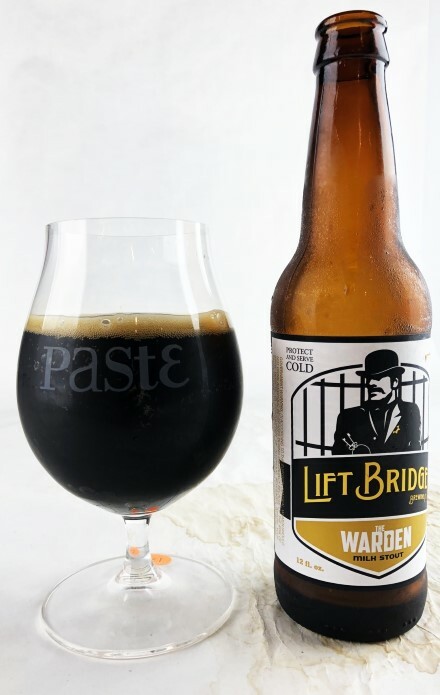 In terms of sheer volume of coffee flavors, this is one of the most intense beers of the tasting, and it wears its exuberance on its sleeve, with a fantastic aroma of concentrated, sweetened espresso and milk froth. The lactose contributes to a creamy, medium bodied texture that is right about where you’d want it to be, which pairs nicely with a lightly nutty and dark cocoa-y malt base. But really: You’re drinking this one for the coffee, make no mistake. If coffee’s what you want, that’s what this one delivers. The verdict: You would probably expect Firestone Walker’s entry in this tasting to be one that favors subtlety and balance over sheer chutzpah, and that holds true. 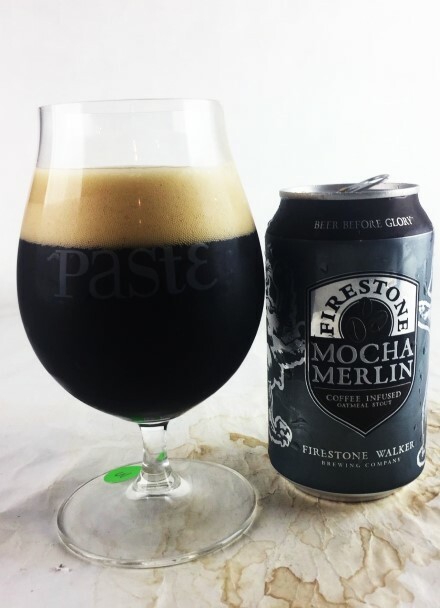 Velvet Merlin has always been a great oatmeal stout on its own, in part thanks to its wonderfully silky texture, and this one simply goes a little bit further with the judicious use of coffee. It’s by no means overflowing with coffee influence, unlike say, the beer that immediately precedes it on this list, but the beans still make their presence felt. It seems like a slightly lighter level of roast, with dollops of cream for good measure, although the final product is only semi-sweet. “Smells like a cup of coffee right out of the French press” wrote one taster. It’s also drinkable as hell—if you were going to pick one of these beers to down a six pack in a night, this would be an excellent candidate, thanks to the balance between flavors and a relatively modest ABV. 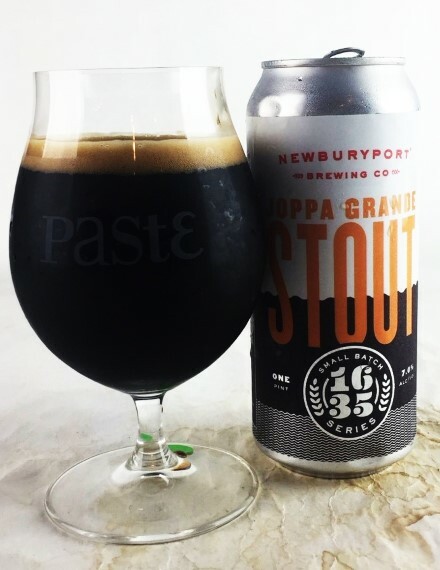 The verdict: Straight up: This is the only beer in the top 5 to not incorporate coffee in some way, so massive props to Newburyport for making the tasting’s best pure stout. 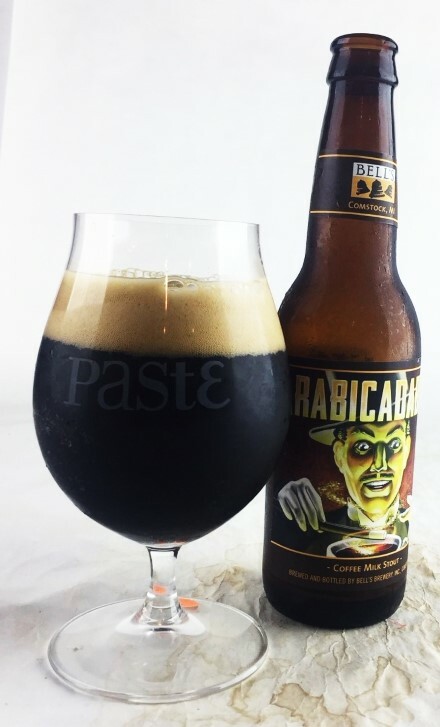 This beer, apparently in the “foreign export stout” substyle that is also sometimes referred to as “tropical stout” thanks to their popularity in the Caribbean, is a hugely flavorful, assertive, roast-forward beer that is as vivacious as it is complex. Dry, ashy roast meets a kiss of bittersweet dark chocolate and even a little bit of piney/minty hops before segueing into dark berry fruitiness on the second and third pass. From one score sheet: “Very inviting, roasty aroma with just enough hint of alcohol to let you know it’s there.” Thanks to the ABV, this one is definitely right on the edge of imperial stout territory, but it’s simultaneously its own animal. Regardless, this is a seasonal release begging to be a year-round one. The verdict: Two Roads refers to this beer as a “cold brew coffee stout,” claiming a unique process in which coffee beans are mixed with beer “under pressure, like espresso without the steam.” We’re not entirely sure what that means, but the results are pretty fantastic. Intensely roasty roasty coffee character reveals notes of spice and bell pepper-like earthiness, in a way that reminds one of both cold brew and freshly brewed hot coffee. Lightly smoky notes trail off into bittersweet dark chocolate, while remaining primarily dry. All around a delicious coffee beer, but also quite approachable—a coffee stout for all seasons. The verdict: We’d like to make the claim that this beer’s 7.8% ABV, almost right at the 8% maximum, didn’t really play into its score, but it certainly didn’t hurt. 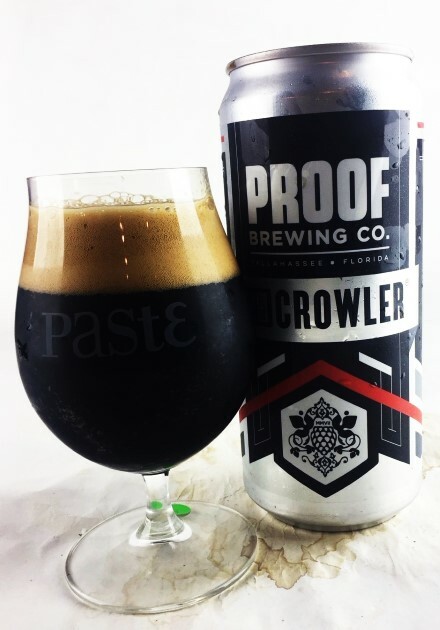 The truth of the matter is that its more robust ABV simply works in perfect harmony with the burly coffee stout profile that Proof has put together, creating a beer that is equal parts vivacious and composed. Assertive, dark-roast coffee swells out of the glass on the nose, rich and sweet—one of the best overall coffee aromas of the tasting. On the palate, Creatures in the Dark is very creamy, sporting chewy malt, dark chocolate notes and significant sweetness, some of which is almost certainly derived from the ABV level. From one score sheet: “Dark plum fruitiness and very dark, bitter cocoa.” From another: “Rich, powerful coffee nose and hints of dried fruit and alcohol.” You might argue that this beer’s richness cuts its drinkability just a bit, making it a “one and done” selection, but it’s hard to care when you enjoy the “one” this much. Overall, a superb coffee stout. Jim Vorel is a Paste staff writer and resident beer guru. You can follow him on Twitter for much more beer coverage, including Paste’s monthly blind tastings.